Worldwide political changes have presented a unique opportunity for forging a new basis of international security relations. The end of the cold war, the dissolution of the Soviet Union, and the ascending role of the United Nations in regional security affairs have transformed the driving issues of international security. These changes both heighten the demand and offer the potential for global cooperation on an unprecedented scale. Traditional security preoccupations and the foundations of past strategy based on preparation for massive military confrontation are no longer appropriate. Now world leaders must find alternative strategies to ensure international safety. This book brings together a prominent group of experts, including several recently appointed government officials, to examine an alternative form of security, one that emphasizes collaborative rather than confrontational relationships among national military establishment. 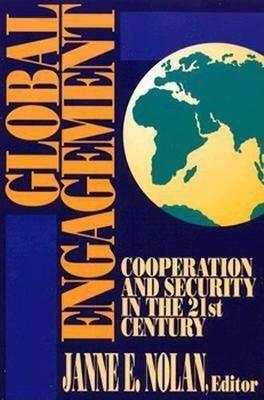 Global Engagement offers a complete analysis of the concept of cooperative security, which seeks to establish international agreements to regulate the size, technical composition, investment patterns, and operational practices of all military forces for mutual benefit. It explains how cooperative security also aims to create mechanisms to prevent the proliferation of weapons of mass destruction and regional conflict. The contributors identify the trends motivating the movement toward cooperative security and analyze the implications for practical policy action. They examine the problem of controlling advanced conventional munitions, analyze an integrated control arraignment, discuss international principles of equity and their relationship to problems of security, and offer regional political perspectives while considering social regional security problems. With the altered security environment, cooperation has clearly become the new strategic imperative. Policymakers are challenged to dispose of large arsenals of conventional and nuclear weapons and redirect their efforts to support preventative management of security conditions. Leading the discussion of the security challenges ahead, the authors of this volume debate the utility of cooperative engagement for future strategy.